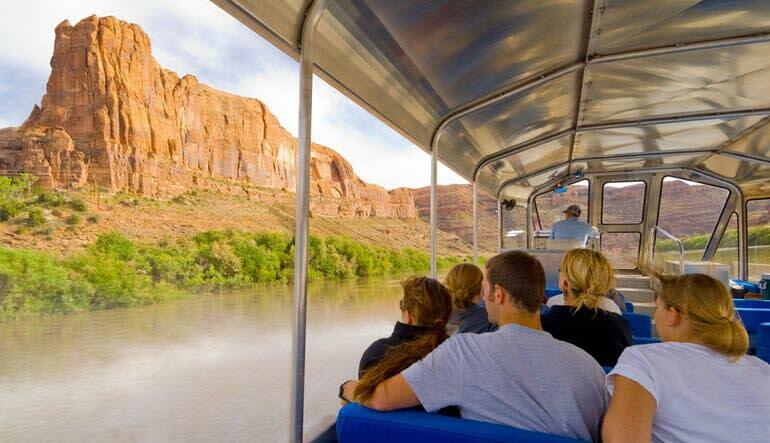 This canyon jet boat tour offers one of the most scenic spins in the nation. 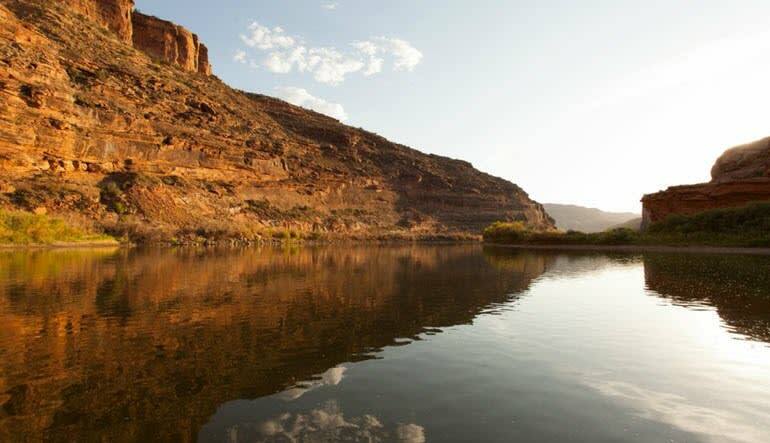 For three unforgettable hours, you’ll take a trip down the Colorado River’s most coveted stretch and gaze upon a near-endless array of natural wonders. Your guide is an encyclopedia of fun facts and knows the Colorado River like the back of his hand. Ask questions—this trip is as much a learning experience as it is an adventure! 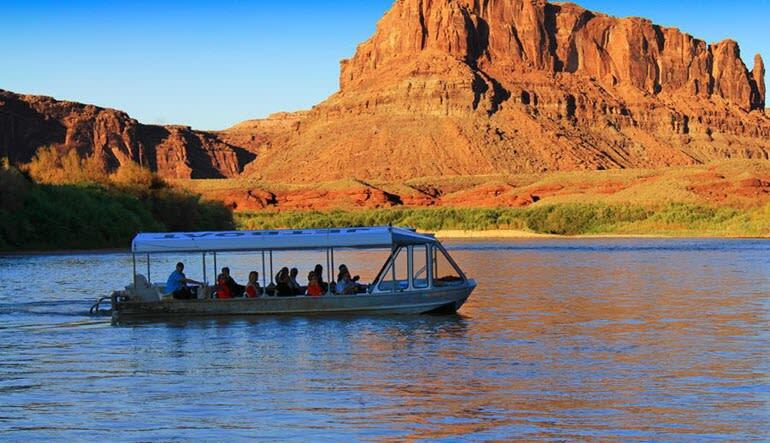 Hop aboard a covered jet boat that keeps you cool during those scorched summer months. Your friendly guide narrates the scenery as you travel between the canyon’s towering walls. See a fossilized sea bed and stunning ancient Indian petroglyphs. Travel past a historic Indian granary as you make your way to the bottom of Dead Horse Park. See the famous Thelma and Louise Point then swing back around and head up river to the docking area north of Moab. Courtney was awesome. Great guy. Funny and entertaining.